Bilbo, like most hobbits, has led a comfortable, pain-free life. He is wealthy and secluded from the trauma of some of the surrounding areas. During the beginning of The Hobbit, he doesn’t believe he is qualified for more than a humdrum existence. However, he soon learns he is capable of great feats of daring. Don’t be intimidated by Adventure. When Gandalf and the dwarfs first arrive at Bilbo’s house to discuss their mission, Bilbo is confused, then terrified. The group has to almost lead him kicking and screaming into their life-altering quest. However, Bilbo proves he’s up to the challenge when he continues to discover creative solutions to roadblocks in their journey. Embrace Change: Don’t Remain Stuck in the Past. Generations of hobbits, especially the Baggins, have been defined by a lack of passion and creativity. They don’t want to be bothered to move beyond their borders, literally or figuratively. Bilbo breaks that mold. He forges new territory for the entire hobbit race. Bilbo is faced with many life-threatening difficulties. Yet, he doesn’t cower and accept defeat from any malevolent creatures. He used his mind, secret weapons, and any available resource to keep himself alive. Don’t Limit your Group to Only People who are the Same as you. The hobbit is initially intimidated by the variety of beings he encounters. Some aren’t even humanoid. Yet, he learns the important lesson that all forms of life have the capacity for nobility. After all, a group of talking eagles saves him near the beginning of his adventure. The Accepted Protocol Doesn’t Always Work. Bilbo expects his “guests”, the dwarfs and Gandalf, to act more “guest”-like in the beginning of the book. Yet, the dwarfs and Gandalf come in expecting immediate hospitality without gratitude. This may have been the only way to jar Bilbo out of his comfort zone, and Gandalf knew it. If the wizard had politely notified Bilbo of the arrival of the group as well as the hazardous mission, the hobbit would probably have refused to participate. Bilbo’s mentor, Gandalf the wizard, believes in him from the beginning. Gandalf expects Bilbo to be strong, and he shows his charge the way to do so. You can Resist Evil; there’s a Hidden Light in you. Gandalf chooses Bilbo to go with the group because he knows the hobbit is pure in heart and emotionally stable. He is able to see Bilbo’s inner strength even though Bilbo isn’t. The themes and three-dimensional characters of J.R.R Tolkien’s The Hobbit are as meaningful now as they were almost seven decades ago. 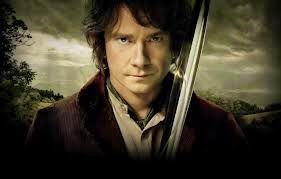 The dedication, purity, and courage of the main character, Bilbo Baggins, is an inspiration to us all.